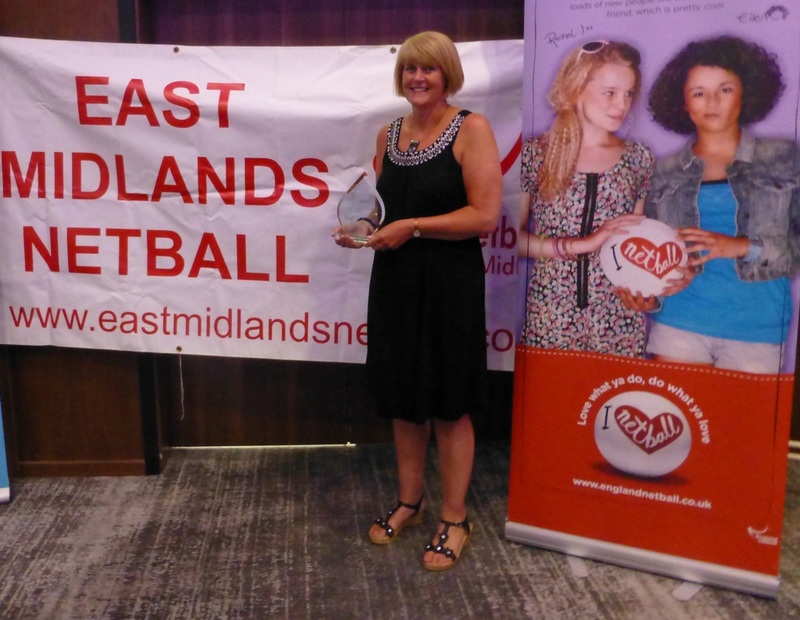 The sun shone brightly for the many volunteers who came together to celebrate another successful year in netball in the East Midlands. Our annual Celebration Event was held at the Radisson Blu Hotel, East Midlands Airport on Sunday 22nd June where we were delighted to announce winners of the 2014 awards. The event started with a tribute to the late Jean Bourne who sadly passed away earlier this year. Jean’s career included officiating; coaching and chairing county and regional boards as well as being President of England Netball and a local club. She was passionate about netball and even after stopping being active in the game, she loved to attend netball events and kept up with netball news both locally and nationally. 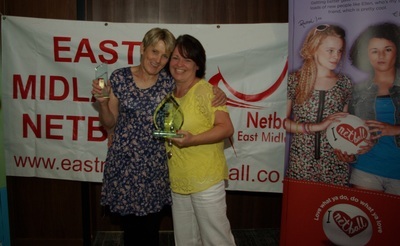 In memory of Jean, the regional Back to Netball Award was renamed the ‘Jean Bourne Back to Netball Award’. 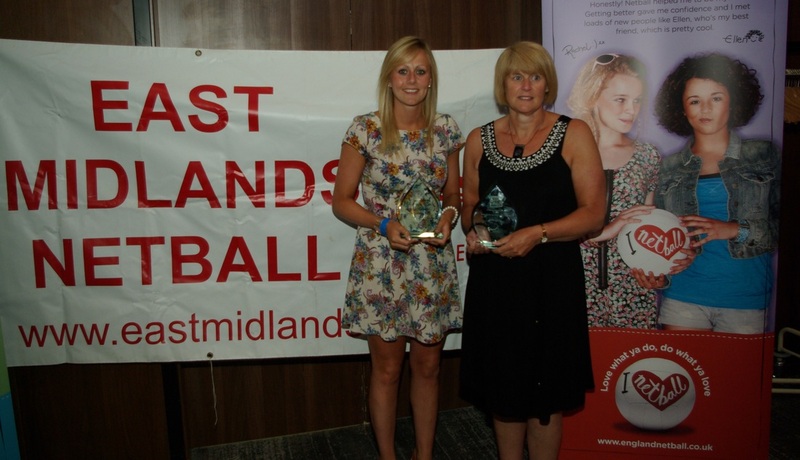 Winners of regional competitions were presented with a match ball and main course was served before getting on to the awards. The Panel had difficulty in selecting winners due to the high standard of this years nominations, and so for the Jean Bourne Back to Netball Award, two winners were chosen. Andrea Liburd from Nottingham and Wendy Broad from Lincoln both received their trophies from Sue Collin, Regional Chair and Robin Bourne, Jean’s son. 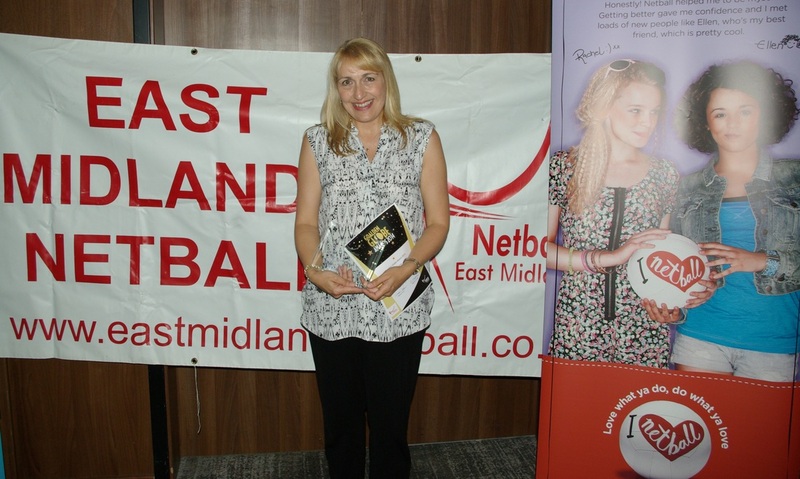 Since joining the Back to Netball session Andrea has grown in confidence and has become the face of Riverside Back to Netball. 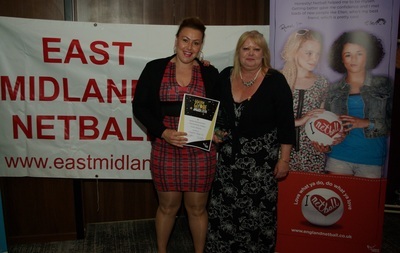 She has lost over 4 stone in weight and has shown dedication in becoming a committee member. 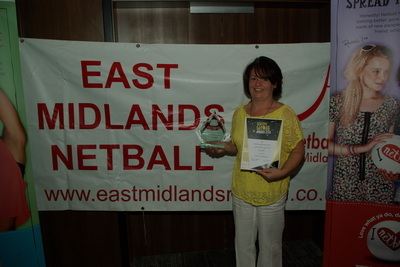 Wendy has recently gained her UKCC level 1 and will shortly be undertaking her beginner umpire award. 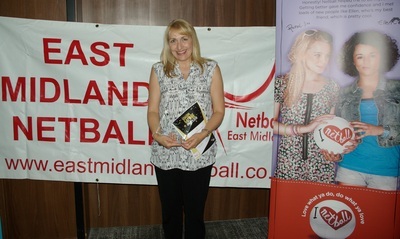 She has become a hugely popular and integral member of Fenland Netball Club and is always willing to help In any way she can. Rosie Port from Derbyshire was presented with her regional Long Service Award for more than 10 years voluntary service to the region and was quoted as a “regional icon”. She has coached some of the best home grown athletes as well as supporting the set up of Loughborough Lightning and their NPL squad. On to the Goalden Globe Awards. 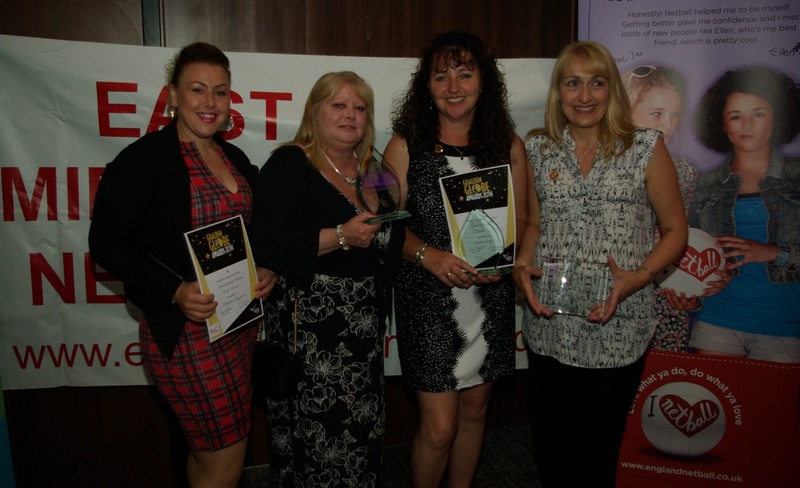 Winners of each of these awards will go forward as nominees to the National Awards which are to be held in September in Sheffield. Louise’s dedication to her clubs junior section is without question. 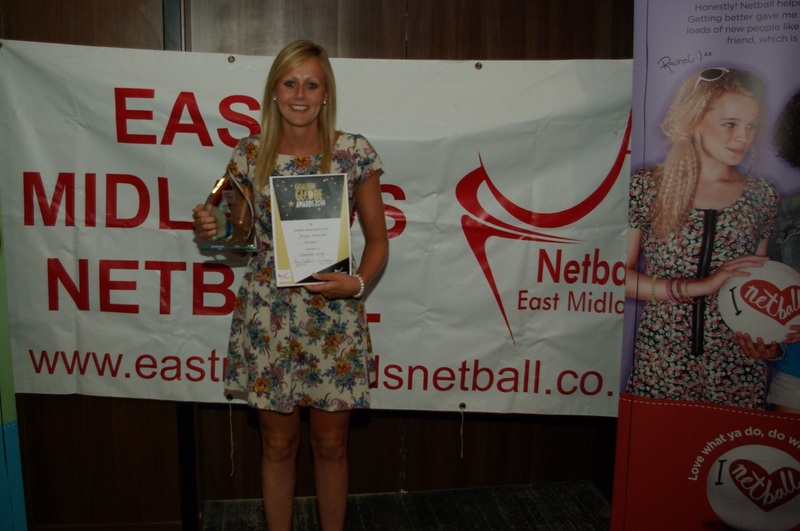 It is obvious from all that meet her that she ‘eats, lives and breathes’ netball. 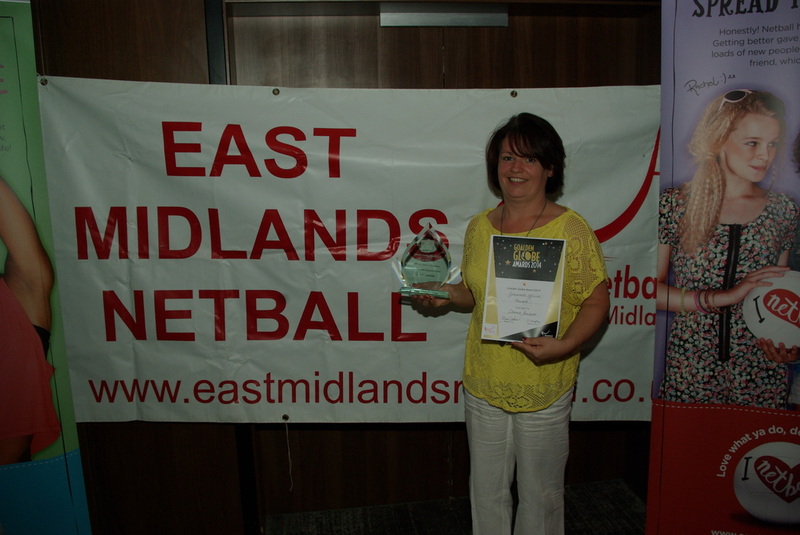 Her attitude, ability, knowledge and devotion to the players and the game will maintain success in netball for years to come. 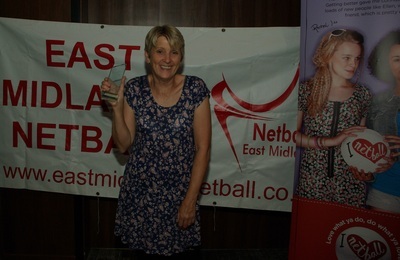 Julie is the drive behind and the face in front Futureprint Netball Club greeting all juniors and making them feel welcome. She is the coordinator between high 5, juniors and seniors and is an exceptional and extraordinary club member. Erica goes above and beyond what is expected in her role and will do all she can to the best of her ability in order to help students and push them to fulfil the potential that she can see from an early stage. Unusually Erica was nominated by her students in recognition of how grateful they are for her teacher going the ‘extra mile’. 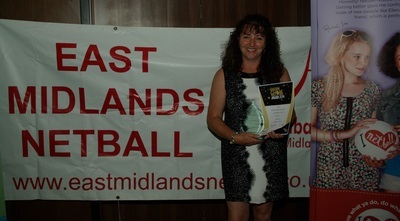 Donna is an A Award umpire and had the potential to go as far as she wished but decided to put her knowledge and experience into helping develop umpires within the region. She is more than willing to help at any county or regional event in whatever capacity she is required. She is totally passionate about officiating and this shows in her commitment to everything she does. Hannah has increased members to her club through the delivery of a variety of lively coaching sessions. 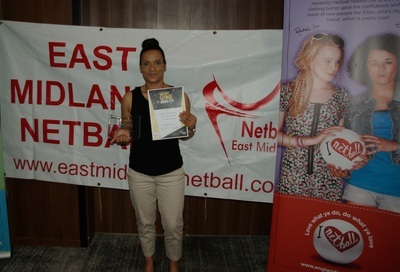 She gives an immense amount of time and effort to Futureprint Netball Club and her enthusiasm is infectious to all. Sleaford Barge NC sits within a small town, having 4 senior and 13 junior schools under its catchment. 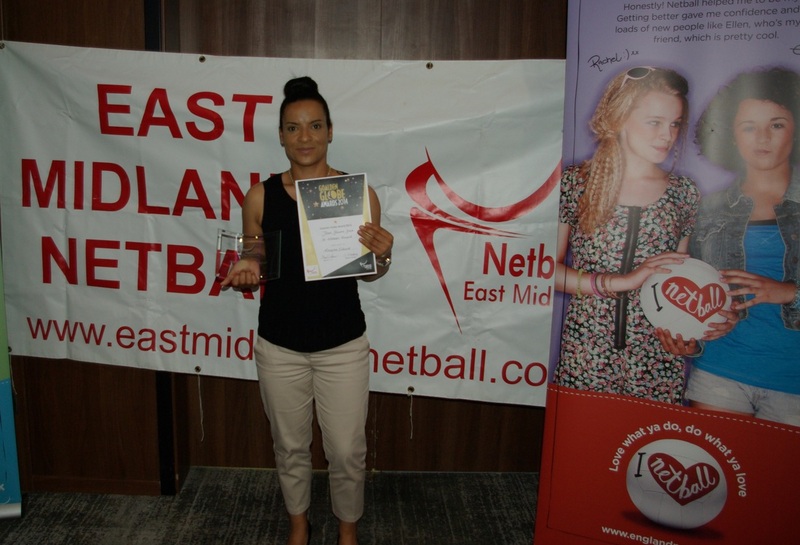 It regularly hosts high 5 netball tournaments to encourage girls and boys into the club in conjunction with the local sport partnership. The club is active in the community and has annual stands at the rugby club bonfire night and Christmas market, selling coffee/tea/cakes to raise money for charity, as well as promoting the sport of netball. Their biggest positive impact has been bringing together girls and boys attending different schools in the area leading to firm friendships being formed. Without the club those paths may not have crossed. Life skills are taught and confidence is encouraged by all no matter what capacity they participate i.e. players, young leaders, umpires and volunteers. Good luck to all of you in the National Awards! The event concluded with a quiz and a raffle in which over £200 was raised for partner charity Cancer Research UK. 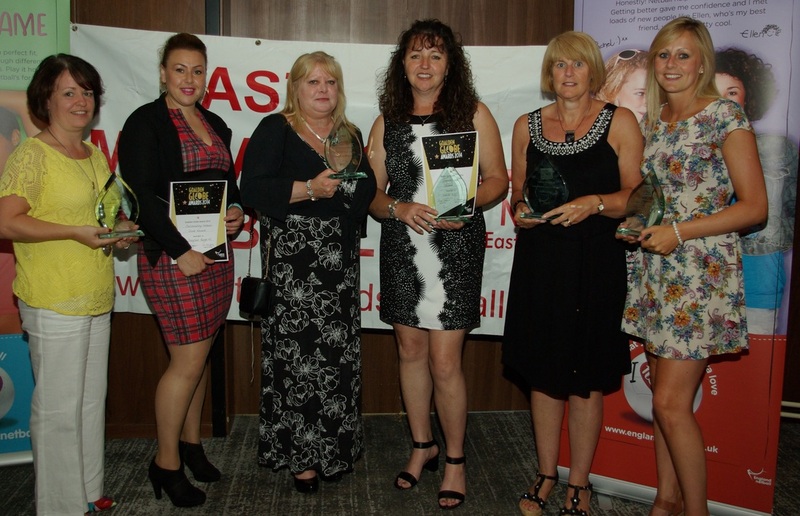 We know there are may more volunteers out there who deserve the recognition and an opportunity for us to say ‘thank you’ for their hard work, so look out in early 2015 when the awards will be back….who will you nominate next year?